This Low Carb Smoothie Bowl Recipe has become a staple in our household. Mainly for me because mainly gets down with sardines and hard boiled eggs for lunch - boring! I like to change it up every day depending on the intensity of my workout and this smoothie bowl is filling and delicious! 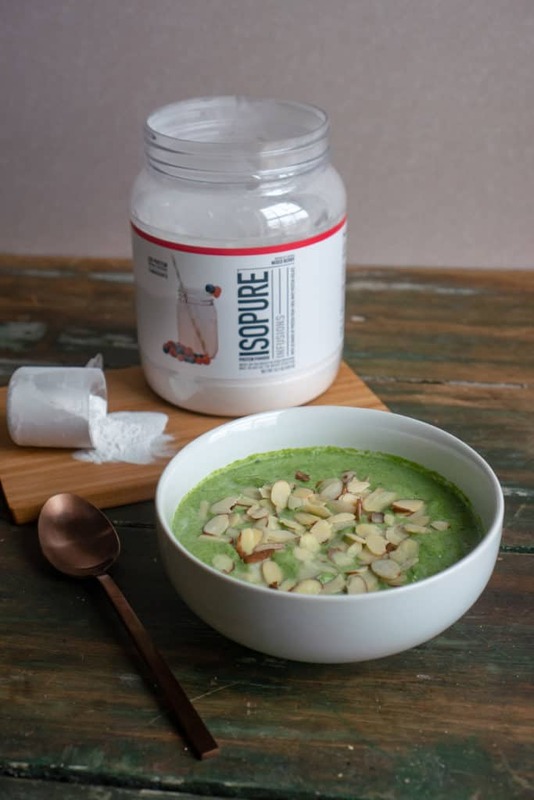 We were lucky enough to try out the new Infusions Isopure Protein Powder which paired perfectly with this recipe! Berry Bowl Without The Berries? Before keto I loved eating berries in bulk. In fact, Matt and I would always end our nights off with our own containers of blueberries or a bowl of cut up apple and pears. While you can still enjoy berries on keto, fitting an entire container into your macros isn't always feasible. With this new mixed berry protein powder you get the berry flavor we all love without all the added sugar and carbs. At only 2g carbs per scoop, you can squeeze some berries in to another meal and feel like you aren't missing out! Low Carb Berry Desserts Without The Berries! This protein powder is totally versatile. 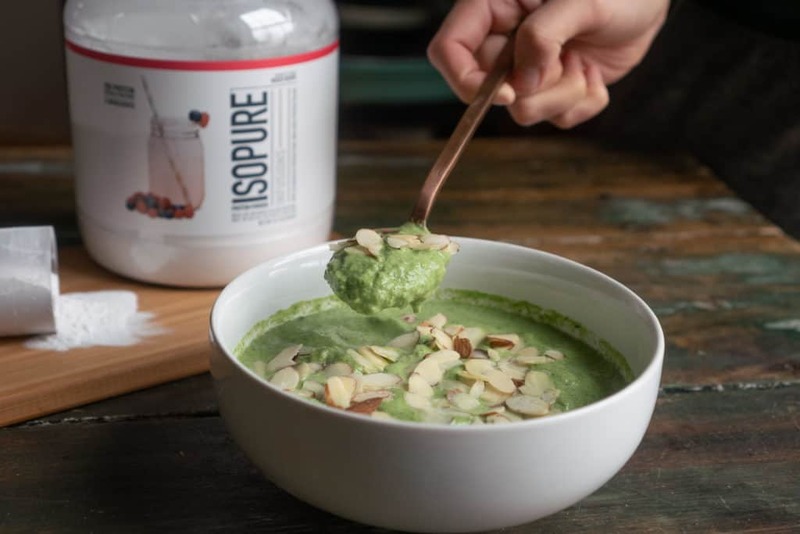 We've not only used it in this smoothie bowl recipe, but we've used it to make macro muffins and protein cakes, two of our favorite foods to meal prep for the week! You can even add in extra berries for some texture, and extra berry flavor. If you're a fan of fruity and citrus-y flavors, be sure to check out the rest of the Isopure Infusions because mixed berry isn't the only flavor they've got! The best part about this recipe is that it can easily be customized to your daily preference! Different protein powder flavor, more fat, different toppers and delicious every time. It also takes less than five minutes to make, which means this smoothie bowl recipe is the perfect meal for your on the go, busy week days! 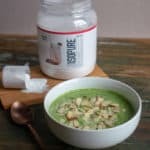 This recipe blog post is #sponsored by Isopure. 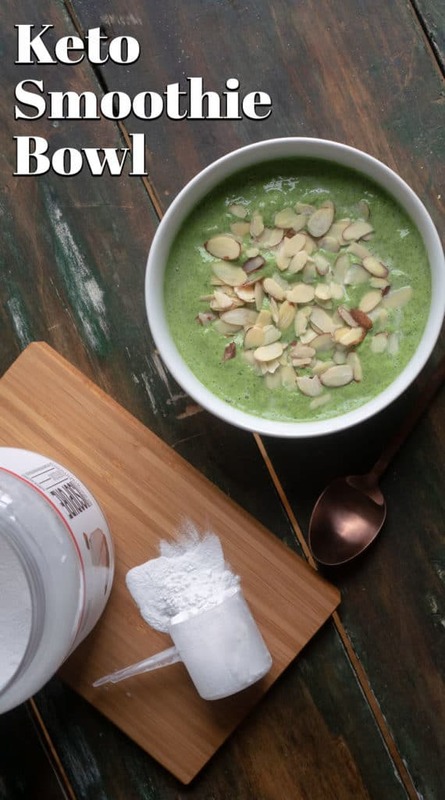 Recipe can be quickly added to MyFitnessPal - Search "KetoConnect - Low Carb Smoothie Bowl"
Combine all the ingredients in a blender a blend until smooth. Add more liquid for a smoothie consistency to take on the go. If desired, top your smoothie bowl with favorite toppings of choice. Tip: Change up the amount of protein powder and cream to up the fat and low the protein on this smoothie bowl!